The Fed won't be changing rates on Wednesday or offering anything particularly enlightening on the path of interest rates but the changes are the margins will be telling. The most-impactful might be how the dot plot shapes up. 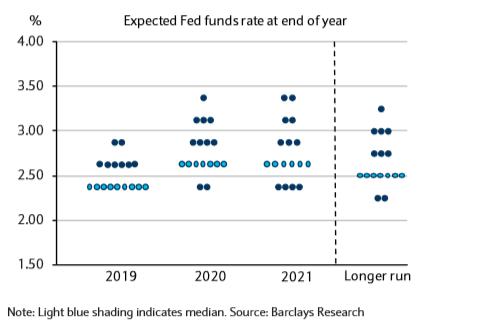 The December forecast indicated a higher path of rates with two hikes this year and another one in 2020. That will come down. The question is how much it will fall. 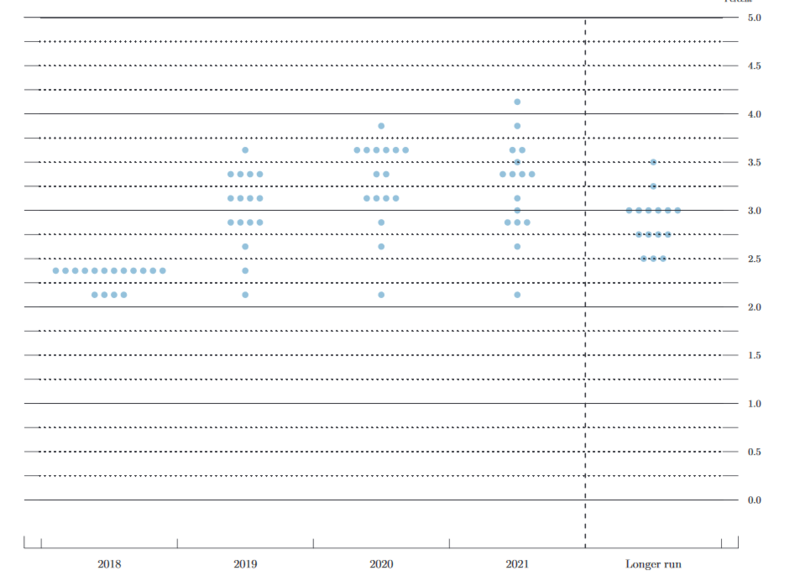 We look for the median FOMC member to project no rate hikes this year and only one rate hike in 2020. The average policy path will likely imply that a second hike is possible over the next two years, but only if inflation is rising above the 2% target or the most likely path for the US economy is realized. A reasonable alternative, in our view, would be for the median FOMC member to project one rate hike later this year, but no rate hike in 2020. We retain our baseline outlook for one hike this year and a second next year. Along with that, they see the long-run median falling to 2.50% from 2.75 in a nod to financial market turbulence when rates rose late in 2018. In terms of the statement, they believe the Fed will adjust its description of the US economy to 'solid' from 'strong' in anticipation of slower growth, albeit still above trend. The market will be paying particularly close attention to changes to the balance sheet. Their baseline is for the Fed to halt the runoff iaround midyear. Beginning in July they envision expiring Treasury and MBS holdings to be reinvested in Treasuries with the total portfolio size remaining unchanged. They see a terminal rate of bank reserves at $1.3 trillion. To me this all sounds a tad more dovish than I would expect but if offers a good look at what economists and the market is thinking about.